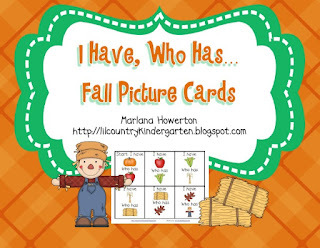 Lil Country Librarian: New Products in my TpT Store! New Products in my TpT Store! Last week, I added some new products to my TpT store that I completely forgot to post about. I hope you like them! The first three people to comment with the product they would most like from above will get the item for free! Be sure to include your email address! Thanks, Ann, Megan and Elisabeth for being the first three to comment. Be sure to check your email for your freebies! 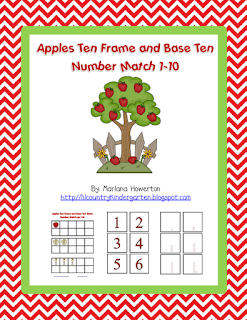 I like apples ten frame and base ten match. 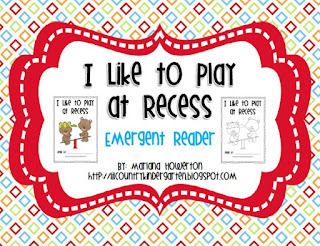 These all look cute, but I love the Recess emergent reader! Thanks! Sorry, i was so excited I forgot the e-mail address. Thank you Ann, Megan and Elisabeth! I'm waiting for the files to attach right now! Enjoy! These are great! 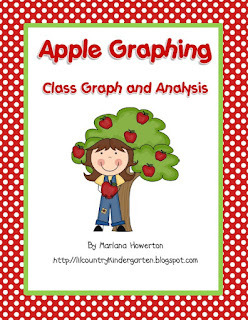 Isn't it exciting to be thinking about fall and apples already! You are so creative! I love all of them! Thank you, Lisa! You are too sweet! I'm heading over to your store, adding these to my wishlist! Thank you, Chrissy! My wishlist is getting crazy and out of control this summer. :) What about yours?